This office does next-day inspections. If you call in for inspections by 4:30 one day, it will occur on the following day. The exception is the Nantahala area, where inspections are done on Tuesdays and Thursdays. 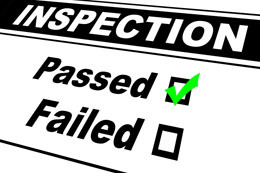 Inspections are done between the hours of 8:00am-5:00pm. To provide a cost effective, professional level of service designed to assure the adequate protection of the health and safety of the citizens of Macon County through assertive enforcement of the various State Building, Electrical, Plumbing and Mechanical Codes and local Zoning Ordinances. The Macon County Building Inspection Office is authorized by the North Carolina General Statutes to enforce the North Carolina State Building Code. The primary function of the office is to ensure the health, safety and welfare of the public. This office: receives applications for building permits (including accessory buildings), electrical permits, mechanical permits (heating and air conditioning, wood burning stoves), plumbing permits and sign permits; reviews plans, issues permits for construction activities; conducts building inspections of construction in progress; and issues Certificates of Occupancy. The Office can provide information on Manufactured Homes, Family Care Homes, Day Care Facilities, Demolition, etc. (828) 349-2072 or (828) 349-2073, Monday-Friday between the hours of 8:00 am and 5:00 pm.